DocuColor 242/252/260 ya no se comercializa nuevo. The Xerox DocuColor™ 242 Digital Color Printer/Copier won the Digital Printer Shoot-Out Award in the category for electrophotographic dry production printers, 20-40 ppm, at the Digital Imaging Marketing Association (DIMA) Awards, featured at the PMA International Convention and Trade Show. BERTL awarded the DocuColor 260 color multifunction printer a BERTLs Best recognition in the Best Light Production Color MFP category. Editors Choice, Better Buys for Business 2008 Color Copier Guide. 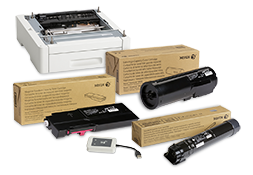 BBB says the DocuColor 242, 252, and 260 models are high-speed color [multifunction printers] that offer excellent image quality and productive features. They are also praised for their very fast output speeds, excellent image quality, attractive supply costs, and strong media support. The Xerox DocuColor 242, 252, and 260 color multifunction printers were each selected as a Pick of the Year for Outstanding Critical Color MFP by Buyers Laboratory Inc. (BLI). 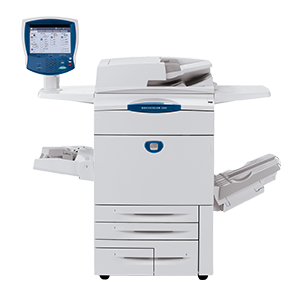 The independent research organization praised the MFPs for their superior overall image quality, color consistency, reliability, ease of use, and customization capabilities that the user interface, finishing options, and color print server options provide. BLI also said the DocuColor 260 performs exceptionally in BLIs job stream test, which simulates traffic in a real-world environment. Editor’s Choice, Better Buys for Business 2007 High-Volume Printer and Digital Duplicator Guide.